Are you interested in fishing? This site is dedicated to the sport of fishing. There are articles and links here for all whether you prefer fresh water fishing or salt water fishing. Be sure to check out the Articles section for articles on Texas freswater fish identification, Texas saltwater fish identification, catch limits, how to fillet fish, recipes, and fishing regulations. Also, check out the links to other fishing sites, weather, fishing reports, tackle shopping sites, and lake information. By request, I have also added a page for the hunters. You can navigate the site by the buttons near the top of the page. But before you explore, let me tell you a little about myself. My name is Gerald Porche and I reside in Texas City, Texas. I am an avid bass fisherman. I have fished a lot of the lakes in east and south Texas including Lake Fork, Toledo Bend, Livingston, Conroe, Martin Creek, Murval, Gibbons Creek, Houston County, Fayette County, Raven, and more. I spend most of my off time fishing unless the weather is really bad. I also fish the brackish bayous' around Texas City, such as Dickinson Bayou, Halls Bayou, Bastrop Bayou, and Chocolate Bayou. I also fish the Divirsion Canal out of Hitchcock which empties into West Galveston Bay.. I also enjoy salt water fishing at certain times of the year. 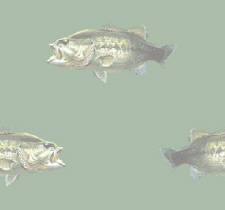 In the bayous, it is possible to catch bass and salt water fish side by side. Although I have not caught any bass in the Divirsion Canal, I catch flounder, trout and redfish at certain times of the year. 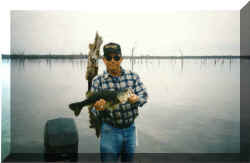 In the bayou's, I will catch bass, redfish, trout, and flounder side by side. Occasionally, I will catch a catfish.